It would have been better by light years if Canada had ended its Kyoto agreement responsibilities with a new and better environmental agreement already in hand -- instead of slinking away like the juvenile delinquent who missed so much school that catching up with the other students became completely out of the question. Where is the leadership to replace Kyoto with a better plan for reducing airborne emissions if Kyoto was so deeply flawed? I don't see it. The emptiness of intergalactic space compares with the dearth of leadership we see in Ottawa on air quality issues. 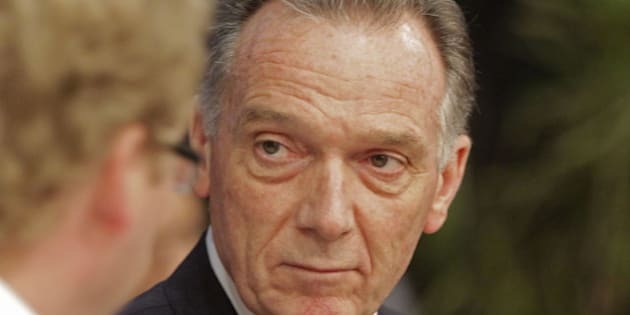 Environment Minister Peter Kent is merely the person taking the heat until we all get busy with other things and recall only wistfully the days of Kyoto's promise of a better biosphere. That's not to slight Kent, a former journalist with impressive credentials by any standard and a thoroughly decent person in every way. Not incidentally, it was Kent's documentary "The Greenhouse Effect and Planet Earth" which aired on CBC's The Journal in January 1984, that got people talking about greenhouse gasses. "The greenhouse effect must be considered as the world's greatest environmental concern," Kent told surprised Canadian and American viewers. How things have changed! If I were less naïve, I'd say Kent was chosen to lead the environment portfolio because of his personal character and outstanding courage as a combat journalist in the Vietnam War and other wars since. How could anybody politically attack him? Seriously, the man is a hero. If only the Conservatives had chosen someone else for the position of minister of the environment. Then environmentalists could tar and feather away to their heart's delight, without any remorse whatsoever. What a wonderful world it would be. I'd be there -- we could do lunch! But if Conservative strategists planned long in advance to play juvenile delinquent on Kyoto -- the only Canadian who could possibly make enviros feel guilty about going on the attack would be Kent. Dang him for being so nice -- and so accomplished! Where is all this leading if we refuse to hold MP Peter Kent's feet to the fire? Nowhere! We -- those who breathe air on this planet -- need a new agreement. We need a binding international air-quality agreement so that environmentally wishy-washy governments can't just wash-out any time they like, because it may require effort to actually execute an agreed upon plan. Apparently, solving the CO2 problem was too big of an undertaking for our Conservative government. So, let's give Ottawa a problem to solve that should be within its capabilities, one that will address airborne emissions and one that will help to make the air far less toxic than it is today. And, if Conservatives can't execute that play properly -- we vote them out of office at the very next election. Why not? They work for us, remember? We decide who gets to ride in the limo, not them. Toxic gasses other than CO2: Think about that for a minute. Some of the most horrific airborne carcinogens and other highly toxic gasses exist as emissions on every continent. I have written (and quoted from the Common Language Project, a nonprofit journalism organization) previously in the Huffington Post that 410,000 people die per year in China from exposure to toxic emissions. Over four years that's 1.6 million deaths in China alone. Carbon dioxide is not the only pollution they are dying from. Our environment minister could take a page from former president Bill Clinton's book and have a small sign made for his desk: "It's the other gasses, stupid!" Here is the U.S. Environmental Protection Agency (EPA) original airborne pollutant list and six common airborne pollutants. On a positive note, every one of these killer emissions is well-known -- there is no uncertainty this time and avoiding responsibilities by politicians will no longer be an option. This science is already done! No need for a climate debate -- this will be a short but simple life vs. death debate. We already have enough information and technology available to begin saving thousands of lives per year -- on every continent. This time, let's get it right. Just be ready to make your point at the ballot box!